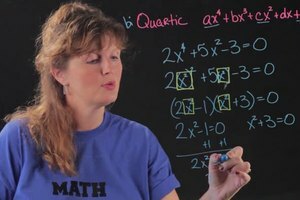 Writing quadratic equations if the numbers are given as fractions will resemble the form of AX squared + BX + C equals 0. 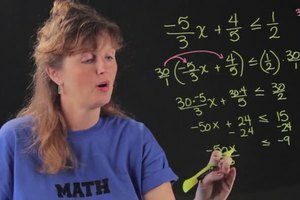 Write quadratic equations if the numbers are given as fractions with help from an expert in computers, with two degrees in both Computer Science and Applied Mathematics in this free video clip. Hi, my name is Stefan. 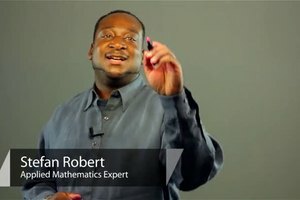 Today, I'm going to be speaking on how to write quadratic equations if the given numbers are fractions. Our general quadratic equation that would look like this, AX squared + BX + C equals 0. Let's say that these were fractions. If I put this in the form of a fraction, I would put A/DX squared B/EX + C/F = 0. What I could do is I could just multiply this through by the product of DEF and when I do that I would get AEFX squared + BDFX + CDE and that's all equivalent to 0 and then once I have this, I could just put these numbers into my quadratic equation and solve it.